I am away again this weekend (in UK, can’t have it good all the time), so again I need a little help from Alicia, who saved you all last week from having no blog at all when I was in Ibiza. I write the basic framework of the blog and she adds the results, handicaps, number of players, conditions and anything else that is relevant before the next blog. Thanks Alicia. Last week some of the games lasted over five and a half hours so players were reminded to keep up with the game in front and respect the comments from the course Marshall. So this week all games actually finished around four and half hours. This was the 2nd of 4 special competitions this year sponsored by Paul Culligan. It is a much sought after trophy with the overall winner and second receiving a very nice momento. It attracted 47 players who played in warm and sunny conditions. Next week is Neil Simpson’s captain’s day, so get your name down to ensure a place in the competition. There are still a few places left on the bus for the evening event which is being held at Totana Tennis Club. See Alicia for tickets. Please note that from this week online bookings to myself only at barry@cdagolf.com Do not send any requests to Dave Rollett for the foreseeable future. The Committe have decided that this year’s chosen charity will be ‘Help for Heroes’. As in previous years you can sponsor a hole on the course by donating 25 Euros. This fee should be registered with Kevin@cdagolf.com and paying your fee. Obviously this will fill up quickly so if you are not here for the event you may wish to donate an item for the auction which will be held on the evening. Please see Kevin or any member of the Committee. A list of auction items will be listed on this blog nearer the time if you wish to do an online bid in your absence. 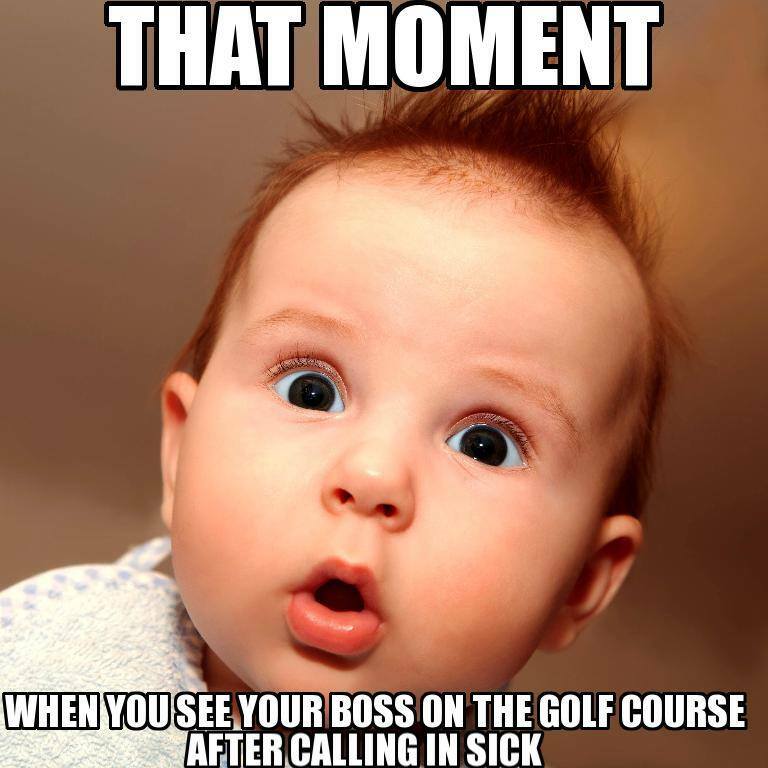 I must admit that I did this when I first started and got hooked, although I did have a baby buggy!………..
you are having a bad round and that is all you have to look forward to…………..
More of these next week! Barbara Rollett – the champion! The Apollo Air tournament for May was contested by 44 players in excellent conditions, although it was a little hot. One of our infrequent golfers, Barbara Rollett, came out on top with a sensational 44 points, which has reduced her handicap by 5 full shots on the slope! Just one comment, all players should be aware to keep moving…………some had a 5 hour 25 minute round due to players in front losing their place on the course. Always keep just behind those in front, not just ahead of those behind. Colin wins division one for Wales…………..
Phil Cooke is in a run of good form…………..
And from out on the course…………………..
Chris McAllister drives off at the 12th with a welcoming ice-cold beer on the tee to encourage him………..
Mick Howlett has not played with us for four years, but Stevie Locker made him feel at home……………..
Next week is the 2nd Dublin Crystal individual stableford of the year, followed in 2 weeks by Captains Day……….get your name down now, and also for the evening celebration at Totana tennis club with entertainment from the terrific G Man (15€ including meal and coach). 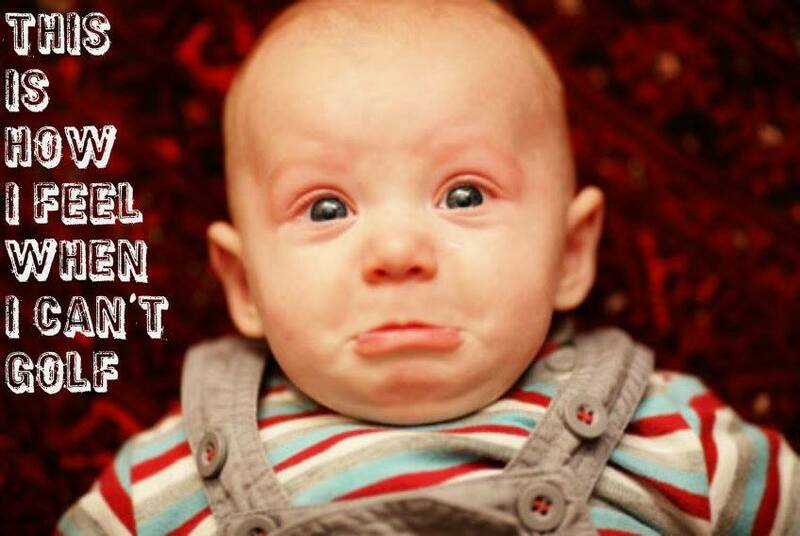 maybe a Norwegian baby who’s course is closed all winter (and part of summer!)……. a cert to become a golf nut!…………. not often you can see all the holes at the top end of the course together, but this is the view from the penthouse terrace……. Sorry if this week’s blog is not as comprehensive as usual, but I may have to publish it on my kindle from the beautiful island of Ibiza, and the foam from the party is getting in my eyes! Congratulations to Jim Hershaw got a hole in one on Friday. This was on hole 11. Jim also won the last hole a few months back. Just a couple of photos this week which I added before leaving home. A nice photo from the bar on President’s Day which I forget that I had………………..
Scott Abraham, Julia Gibson, Karen Simpson & Bernie Heath………………..
Next week is the Apollo Air individual stableford for May. Back to normal next week I hope. This week saw one of our top competitions, the President’s Cup, fought out by 63 players. Unfortunately, due to unforeseen circumstances when the fixture list was prepared, our new president was unable to attend. Dave Lloyd was back in geordieland welcoming his new granddaughter, Abigail Grace, into the family. What a fantastic couple of months for Dave and Kim who had their first grandson Findlay only a few weeks ago. getting used to being a grandad…………..
And a joke for Dave on President’s Day……………..
.Being president is like running a cemetery: you’ve got a lot of people under you and nobody’s listening. So it was the first presentation with Neil Simpson and Ken Saunders in charge. There were some excellent scores with perfect golfing conditions for the players. It shows that there is no set way to play the game, as Robin Wilson won the President’s Prize with his very individual set up – and he only uses a 5 iron off the tee! Well done Robin, a popular winner. Robin plays left handed although right handed – reverse grip – looks to be perfect setup for a right hander, but is hitting it the other way! Obviously it works! 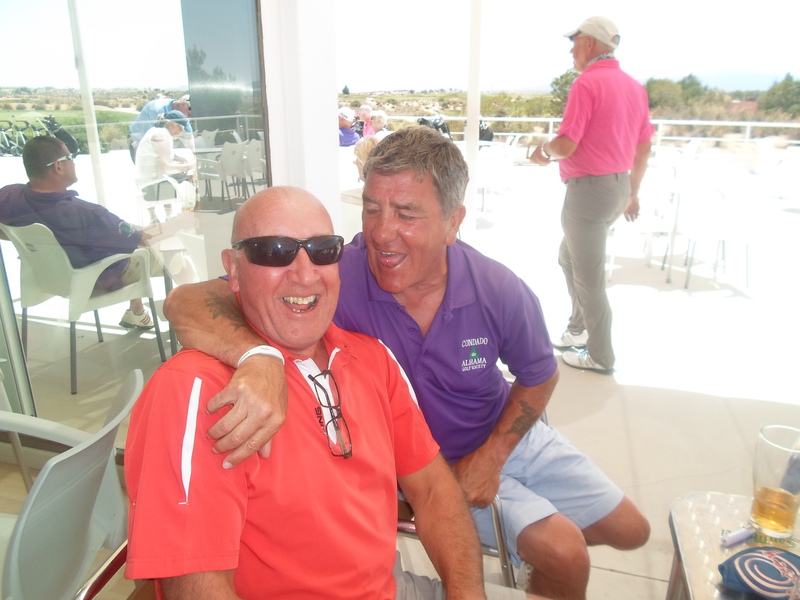 Sausage Dave was only pipped on countback……. There was no official party night to follow the presentation, but we timed it (8pm) so everyone could stay and enjoy Stevie Fisher (as Rod Stewart) in the Clover. Next week is a pairs stableford event, but I don’t know if there will be a blog – I am away on holiday, and with only hand luggage won’t have my laptop. Again, a reminder that membership must be paid by 8pm Wednesday to be included in the Friday competition. Also proof of handicap should be provided by that cut off time. Scandinavian players wanting to enter in this year’s competition and having played last year must register within 30.06.2016 to be guaranteed a place in the competition. We are having another pairs competition on Sunday the 15th of May also at Saurines. This time the format will be a double shambles. Both players tee off, select the best drive and then continue to play their own ball until it is holed out. The team then records both balls added together using Stableford points. Members of IRM Nike Golf €18, €10 of this fee must be paid in cash. Non Members €46, €10 of this fee must be paid in cash. Dave passes on the captaincy to Neil on Sunday May 1st……..
Well, it’s goodbye to Dave Lloyd this week, although he will take up his role as President for the next 12 months. Dave has overseen a very successful year for the society which although everything is in place, still has to be managed and focused. We wish Neil a very successful year and hopefully a good golfing one (with a lower handicap!) now that he is retired? And welcome to Ken Saunders, who will be Neil’s vice-captain. Also Dave Rollett has now fulfilled his 3 year stint as vice-captain, captain and president and we offer him our heartfelt thanks for a job well done. He will still be very active on the committee, looking after competitions and online bookings. A change in the weather I am afraid, with heavy clouds and overnight rain for the 47 players. It said rain would be nearby, but by the time the first group reached hole 11 it was overhead, and umbrellas were needed to combat the heavy drizzle which penetrated everything. I really picked a good day to be starter as I don’t play if I am due to be out last! the rain has just started on hole 10, the mountains are obscured by the mist………………. Basically, it was an individual stableford, but all 4 scores from the 4 ball were added together to get a team total. Teams with only 3 players were allowed to choose a ghost card at random to make up their total score. The weather didn’t seem to affect play, with lots of good individual scoring. The competition (although a team event) was a qualifier for handicapping purposes, so quite a few got a cut without being in the prizes! And here are the winners – they made little of the conditions with the lowest score being 35 points! and drier back in the Clover………………..
Jan, Eli & Ole Martin……..
they are glad that is over…………..
Next week is President’s Day – the 3rd major of the year. Get your name down, spaces are limited. This week it was very nice to receive advanced notice of planned work on the course, Enrique informed us of work on the lake at hole 4. I also asked about the disappearance of water from the lake on hole 13 and got the following reply. If we continue to receive information like this it should help stop negative comments about course maintenance. Dave Lloyd is a little ‘mutton Jeff’. This is the type of conversation he has at committee meetings………….